Diabetes is a common disease that causes high blood sugar levels. Living with diabetes can cause an emotional as well as financial burden on the family. Since diabetes can affect anyone at any age, one should be very careful. If one is already diagnosed with diabetes, they should take care of themselves by eating healthy food, exercising regularly and taking diabetes medicine. Diabetes is a serious disease and it is important to take care of yourself in order to enjoy a healthier future. If you know someone who has been diagnosed with diabetes and needs assistance, A-1 Home Care can help. A-1 Home Care provides live-in 24 hour care and live-out care on an hourly basis to communities in Newport Beach and surrounding areas. 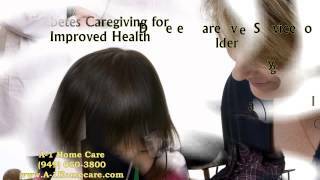 A-1 Home care has many Caregivers available that can help you. They can help you by preparing healthy meals and by performing physical activities with you. They can also assist by keeping you Company, act as Home Helpers or by performing errands around the house. Most importantly they can help you monitor your blood sugar level and can assist you with proper treatment when needed. To hire a caregiver today or for more information on diabetic care near Newport beach, please call A-1 Home Care (949) 650-3800 or visit us online A-1 Home Care for more information about caregiver services in Newport Beach, Huntington Beach, Costa Mesa, Tustin, Laguna Beach, Villa Park, Fountain Valley and surrounding areas. Categories: Uncategorized | Tags: 24 hour care, a-1 home care, Alzheimer disease, caregiver, costa mesa, diabetes, emotional, errand, exercise, financial, fountain valley, healthy, high, home helper, huntington beach, laguna beach, live in, live-out, medicine, newport beach, physical, sugar, treatment, tustin | Permalink. It improves your sleep, boosts your mood, and is good for the brain. Exercising not only is beneficial to our physical healthy, but rather it has advantages to our overall wellness. Older adults should not dive right in and start with intensive work outs. Always approach with caution at first, and work your way back slowly. Although exercising is great, any preexisting conditions might put you in potential danger, so first get medical clearance from your doctor. After that, build up the exercise program slowly. Begin with shorter increments like 10 minutes twice a day, then when fitness improves, add more time and intensity to the program. Most importantly, you have to stay committed at first. It usually takes about a month of exercise before it becomes a habit, so try to focus on short term goal to stay motivated and allowing it to become a routine at the end. Call 949 650 3800 today for service inquiries or visit Newport Beach In Home Care to learn more about our 24 Hour services. Categories: Uncategorized | Tags: 24 hours, a-1, after surgery care, arthritis, care, caregiver, caregiver agency, dementia, diabetic, elderly, home, in-home, irvine, live in, live in home care, newport beach, parkinson, senior, senior care, surgery | Permalink. Embarking on a healthy diet program can be an exciting way for Elderly and Senior individuals to connect with family members or caregivers. Having health goals through dieting can help your loved one stay optimistic and following a diet can help you and your loved one socialize over what meals to prepare in the coming days. One diet that can provide guaranteed results for better heart health is the DASH Diet. DASH, which stands for Dietary Approaches to Stop Hypertension, is an easy to follow plan that focuses on eating the right foods at the right portions. While many diets are hard to stick with because they completely ban certain food groups, the DASH Diet doesn’t have any limitations. The diet emphasizes low saturated fat, cholesterol, and total fat. Foods include whole grains, fruits, vegetables, low-fat milk products, moderate amounts of fish, poultry, and nuts, and a reduced amount of red meat, sweets, sugar, and sodium. Check out a week’s worth of sample recipes to get started on the DASH Diet here. 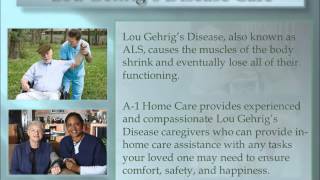 A-1 Home Care is a Licensed Bonded and Insured non-medical homecare agency that provides a variety of in-home care services for Elderly, Senior, and Terminally Ill individuals. We strive to provide caregivers who can help enhance the quality of life of your loved one no matter what their care situation may be. 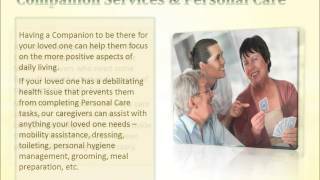 Healthy meal preparation, exercise, personal care, and companionship are staples of our care strategy. When you can’t be there for your loved one, having a caregiver who can be there to provide assistance with activities of daily living or companionship can benefit their health, happiness, and well-being. Some of our care services include 24 Hour Live-In Care, Hourly Care, Arthritis Care, Parkinson’s Care, Diabetic Care, Post Stroke Care, Heart Attack Care, and Kidney Disease Care. We serve the OC communities of Newport Beach, Huntington Beach, Seal Beach, Los Alamitos, Garden Grove, Corona Del Mar, Irvine, Anaheim Hills, Yorba Linda, Brea, Diamond Bar, and others in Orange County. To interview and hire a compatible caregiver in your area today, CALL us at 949-650-3800 for a FREE in-home assessment. Categories: Caregiver, home care, Newport Beach CA | Tags: 24, a-1, agency, anaheim hills, arthritis, attack, brea, care, caregiver, corona del mar, county, dash, diabetic, diamond bar, diet, disease, elderly, food, garden grove, health, healthy, heart, home, homecare, hour, hourly, huntington beach, hypertension, in-home, irvine, kidney, live in, los alamitos, newport beach, non-medical, oc, orange, parkinson, post, seal beach, senior, stroke, terminally ill, yorba linda | Permalink. Having a stroke can be a tragic experience for the victim and their family. Strokes occur when brain tissue is damaged because of a lack of blood flow to the brain from burst or blocked blood vessel pathways. The effects of stroke vary widely between people in terms of the area of the brain affected and how much damage that determines what complications your loved one will face and whether they are temporary or permanent. When your loved one is a stroke survivor, you want to ensure that all precautions are taken to prevent a recurrent stroke. This may mean lifestyle changes that focus on better nutrition and more exercise. Sweets such as candy are normally looked down upon by physicians and dieticians as a part of a healthy diet, but this Swedish study has found that chocolate eaters may have a lower risk of stroke when eaten in moderation because cocoa has some heart healthy properties. Check out the article here. 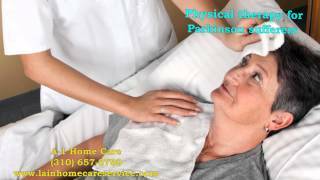 At A-1 Home Care, we provide compassionate Post Stroke Care services on a 24 hour Live-In Care or Hourly Care basis for recovering stroke victims. It can be difficult handling activities of daily living right after a stroke because of temporary or long term paralysis or cognitive effects that may render your loved one incapable of caring for themselves. All of our Post Stroke caregivers, nurse aides, companions, and home helpers must have prior at home caregiving experience, verifiable professional references, a National Background Check/DMV Check, Tuberculosis testing, Malpractice/Liability insurance, Firs Aid/CPR training, and a personal interview with our office staff. We serve the OC communities of Newport Beach, Huntington Beach, Corona Del Mar, Laguna Beach, Irvine, Tustin, Santa Ana, Anaheim Hills, Garden Grove, Los Alamitos, Seal Beach, and others in Orange County. To interview and hire a compassionate caregiver in your area, CALL us today at 949-650-3800 for a FREE in-home assessment. 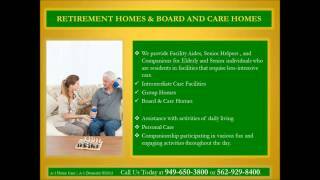 For more information, visit us at Newport Beach In Home Care. Categories: Caregiver, home care, Newport Beach CA | Tags: 24, a-1, aide, anaheim hills, at, care, caregiver, caregiving, companion, corona del mar, county, garden grove, helper, home, hour, hourly, huntington beach, irvine, laguna beach, live in, los alamitos, newport beach, nurse, oc, orange, post, santa ana, seal beach, stroke, survivor, tustin, victim | Permalink. 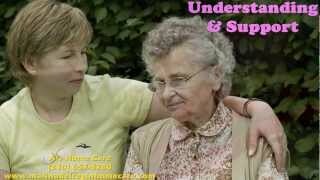 A question that many adult children will oftentimes find themselves worrying about is “How will I know when my Elderly parent needs living assistance?” As days go by, it can be hard to tell how your loved one is doing on a daily basis if you only see them once a week on weekends or even less – only on holidays. So, how will you know if your loved one needs living assistance? You might notice that they have some difficulty performing certain tasks. Whether it be walking up or down stairs slowly or having really shaky hands when they’re carrying a food dish, these may be only some of the tasks that your loved one has difficulty with. The PBS site has a Caregiver’s Handbook with a section dedicated to finding out when your loved one needs home care. Included is a checklist for Activities of Daily Living that you can use to assess whether you loved one needs assistance with typical tasks such as shopping, bathing, dressing, doing laundry, etc. It also considers physical/mental health and nutrition. Check it out here. 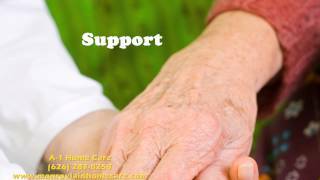 At A-1 Home Care, we provide a variety of in-home care services for Elderly, Senior, and Terminally Ill individuals on a 24 hour Live-In Care or Hourly Care basis. Whether it’s basic Companion Services or more specialized care, we can match you with a compatible caregiver who can help your loved one maintain their independence at home. 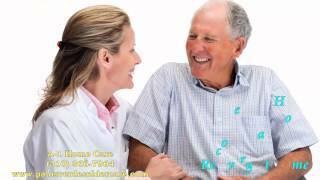 We specialize in After Surgery Care, Arthritis Care, Alzheimer’s & Dementia Care, Parkinson’s Care, Diabetic Care, Cancer Care, Hospice Care, Incontinence Care, and Post Stroke Care. All of our caregivers, nurse aides, companions, and home helpers must have prior at home caregiving experience, verifiable professional references, a National Background Check/DMV Check, Tuberculosis testing, Malpractice/Liability insurance, First Aid/CPR training, and a personal interview with our office staff. We serve the Orange County, CA communities of Newport Beach, Long Beach, Huntington Beach, Costa Mesa, Balboa Island, Lido Island, Villa Park, Corona Del Mar, Los Altos, Tustin, Signal Hill, and other nearby cities. To interview and hire a compatible caregiver in your area, CALL us today at 949-650-3800. Categories: Caregiver, home care, Newport Beach CA | Tags: 24, a-1, after, aide, alzheimer, arthritis, assistance, at, balboa island, ca, cancer, care, caregviing, companion, corona del mar, costa mesa, county, dementia, diabetic, helper, home, hospice, hour, hourly, huntington beach, in-home, incontinence, lido island, live in, living, long beach, los altos, newport beach, nurse, orange, parkinson, post, senior, service, signal hill, stroke, surgery, terminally ill, tustin, villa park | Permalink. A danger that has been gaining more attention in recent years is that of Elderly fraud cases around the world, where scam artists use the trustworthiness of Elderly individuals as a weapon against them, tricking them into sending small to large sums of money to the scam artist. One type of scam called the sweepstakes fraud occurs when the Elder receives a letter or phone call telling them they’ve one a large sum of money. This video titled Elderly Victim of Sweepstakes Fraud tells the story of a couple who received many letters in the mail that made them think they won $2.5 million and that the winnings would help the husband pay for the treatment of his wife’s cancer in the home. The takeaway is that your loved one has to be careful about who they trust on the phone and in the mail and if you must pay to receive some sort of prize, it’s most likely a fraud. At A-1 Home Care, we understand that you may not be able to be with your loved one around the clock to protect them from fraudulent people who can reach them by phone, mail, or even at their own door step. We provide caregivers who can look after your Elderly loved one, providing companionship and/or personal care, and ensuring that they don’t fall victim to Elder fraud. 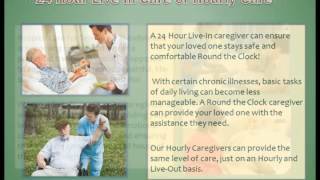 We provide in-home care services for all levels of care, whether it’s basic companionship or more specialized care such as Arthritis Care, Alzheimer’s & Dementia Care, Parkinson’s Care, Diabetic Care, Cancer Care, Hospice Care, Incontinence Care, or Post Stroke Care on a 24 hour live-in or hourly care basis. 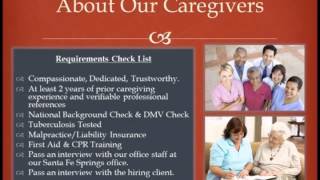 Our caregivers, nurse aides, companions, and home helpers must have prior at home caregiving experience, verifiable professional references, a National Background Check/DMV Check, Tuberculosis testing, Malpractice/Liability insurance, First Aid/CPR training, and a personal interview with our office staff. We provide care at home for Elderly and Seniors in the communities of Newport Beach, Laguna Beach, Huntington Beach, Corona Del Mar, Irvine, Tustin, Garden Grove, Los Alamitos, and others in Orange County. To hire a compassionate caregiver in your area today, CALL us at 949-650-3800 for a FREE in-home assessment. A-1 Home Care is a Licensed Bonded and Insured non-medical homecare agency that has been in business since 1991 with an A+ Rating from the Better Business Bureau, Shield Accreditation, and thousands of positive testimonials from satisfied clients over the years. Categories: Caregiver, home care, Newport Beach CA | Tags: 24, a-1, agency, aide, alzheimer, arthritis, at, cancer, care, caregiver, caregiving, companion, corona del mar, county, dementia, diabetic, elder, elderly, garden grove, helper, home, homecare, hospice, hour, hourly, huntington beach, incontinence, irvine, laguna beach, live in, los alamitos, newport beach, nurse, orange, parkinson, senior, stroke, tustin | Permalink.